The Wizard Golf Club is a public resort with 18 holes. The Wizard has bent grass on both the fairways and greens, and this is unusual in the area due to how much water is required. In the summer, particularly, the grass has to be watered frequently. That reduces roll, and that can make the putting surfaces challenging in a way. Fortunately, the greens are fairly flat and not expansive, so you can usually avoid three-putts even during summer. Greenside bunkers aren’t common, but when they are present, they’re quite deep. Playing away from them is key, and making a mistake in that direction can be disastrous. The Wizard is a Par	71 course that was opened in 1996. The course was designed by architect Dan Maples. The head pro is Steve Frishmuth and the General Manager is Tim Sautter. The course offers electric golf carts, a driving range, a practice putting green, a pro shop, snack bar, professional instruction and rental clubs. The Wizard Golf Club serves beer and wine. There are no caddies and no bag storage available. Metal spikes are allowed and coolers are allowed. Walking is not allowed. The dress code is regular golf attire. It is highly recommended to book a tee time in advance. You may call the club at 843-236-9393 or book online. You may call between the hourse of 7:00am – 6:00pm. And a security deposit is required in the Spring and Fall. The course record is 62 held by Mark Silvers. Events hosted at The Wizard are the Capt. Daves Match Play Championship and World Amateur. The layout is a Scottish links style course with well-conditioned G2 Bentgrass Greens. 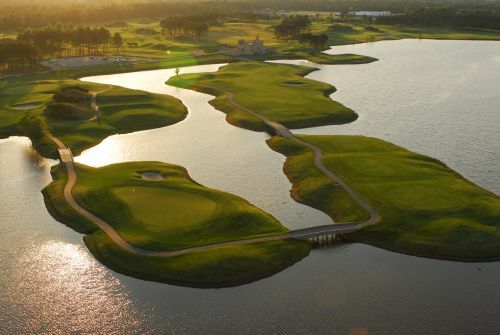 The course borders 100 Lake along with the Man O War course. The Wizard Golf course was developed by Sandhills Links. Click here to print out a PDF of the Wizard Golf Course Score Card. Did you enjoy your round? Let us know! Bet on golf at Ladbrokes and get a free bet! Learn more about the Ladbrokes free bet offer at FreeBetPromocode.co.uk.